As we get older, our skin quality deteriorates. Fine lines and wrinkles appear, the collagen thins, elastin stretches and pigment appears. The ligaments of the face stretch and fat pockets descend. Rather than wait for these signs to appear, the modern approach is to prevent the signs of ageing. 1. Avoid toxins such as smoking, excessive alcohol intake and recreational drugs. 2. Avoid direct sun exposure. Sun avoidance 10-3pm. Barrier methods of protection such as UV protective clothing and a hat. Sunscreen is also useful. Remember to put zinc on the lips. 3. A healthy balanced diet including fresh fruit and vegetables. These include natural antioxidants. 4. A whole range of Medical compounds are now available to reverse skin damage. 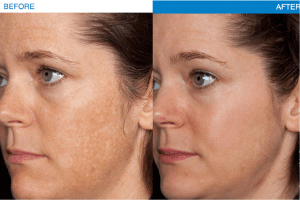 Vitamin C products during the day to remove pigment. Vitamin A products (retinol) at night to tackle fine lines. 5. Age reversing peptides and luminate inducing products to give your skin a natural glow. 6. Hyluronidase treatments. A new product that helps stimulate collagen production. 8. Anti-wrinkle injections to “prevent the wrinkle” as soon as these lines start to appear. Treating them when superficial, prevents the deeper lines forming. These are best for the forehead, crows feet, but can also treat bunny lines, gummy smile and depressor lines. 9. Dermal fillers around the lips to prevent lines in this special area. 10. 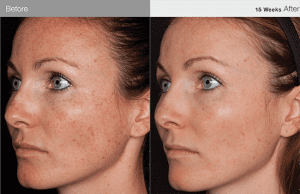 Fat grafting brings volume to replace fat lost in the face, while the stem cells transferred help rejuvenate the skin. Fat can be placed into everywhere it is needed. 11. Surgery is then reserved to restore tissues that have displaced with time and to address excess skin laxity. Tightening and restoring muscle layers and fat pads to where they belong is the key to long-lasting results. Its not just a skin tightening operation. Above all, whatever is done should look natural, so that you can look refreshed, without looking different. Allow 2 weeks between any treatments so that you can slowly reverse the clock.